When are stains a good thing? MANILA, Philippines – How do young children see the world? In their eyes, everything is new. Experiencing everything for the first time, they are naturally curious as to how everything works. At school, they explore and create as they learn how to write, paint, play sports, do easy science experiments, or study nature. During afternoons, they’re discovering the joys of playtime while running around in streets, playgrounds, and backyards. These hands-on moments are important for a happy and well-rounded childhood. But they also lead to stains and a lot of mess – much to the distress of mothers. 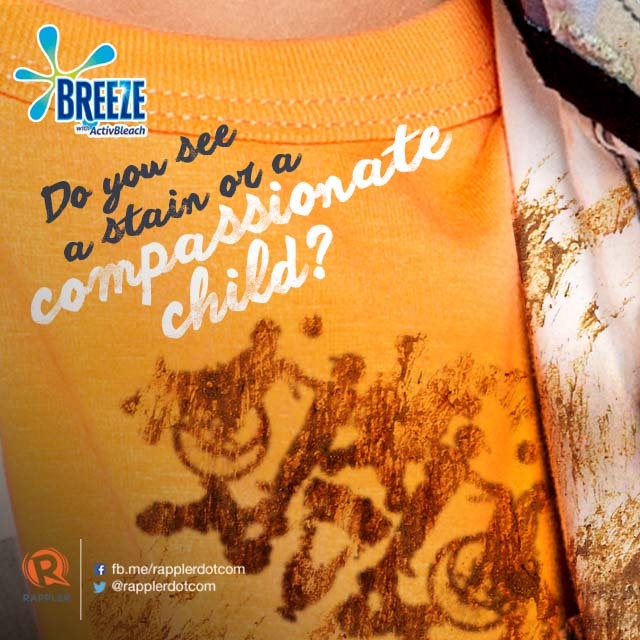 Does seeing your child come home with a dirty shirt make you upset? Relax. It’s perfectly okay for kids to make a mess, especially if these will make them become good children. 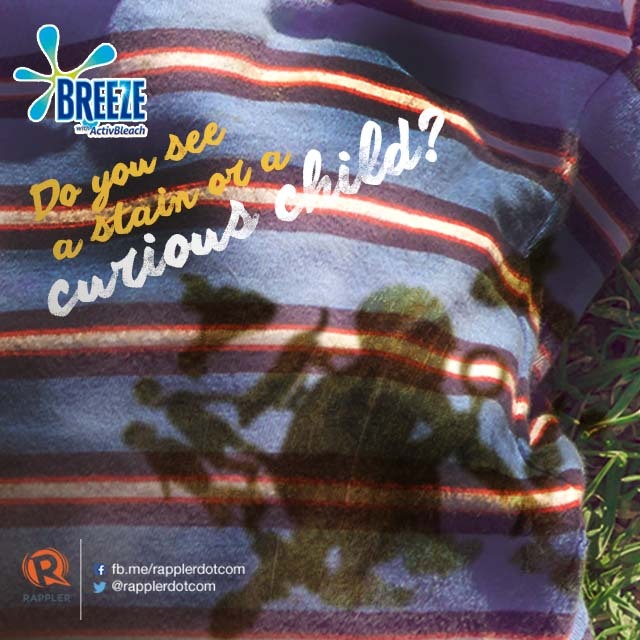 At first glance, stains on your child’s shirt are unsightly. But they’re actually symbols of traits and values that your child slowly acquires. A stain can also symbolize grit because he isn’t afraid to get his hands dirty just to accomplish a task. Or even compassion as they lend a hand to someone who needs it. More importantly, a stain reminds us that the child is only beginning to learn and experience everything by himself. So rather than seeing stains in a negative light, try to see them instead as badges of honor – that you’re raising your children as well as you can. The next time you see stains on your child’s clothes, pause for a moment before telling them off. Try to see the whole story, and understand why stains are sometimes necessary. They impart important life lessons – both for you and your child. Not all stains are bad. Parents, raising kids is hard but when you think about it, a few stains every once in a while makes the job easier. 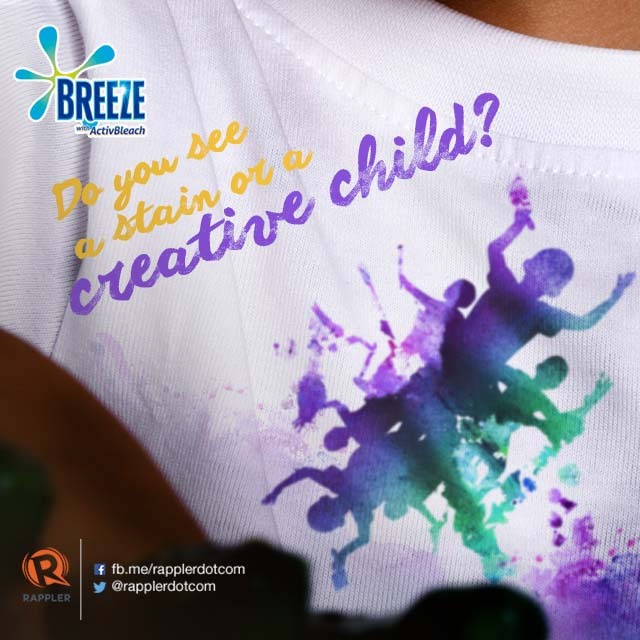 Stains on your kids’ clothes can be a mark of their budding creativity. Parents, let your kids know that it’s ok to make a mess whenever they make art. Every stain leads to something good. 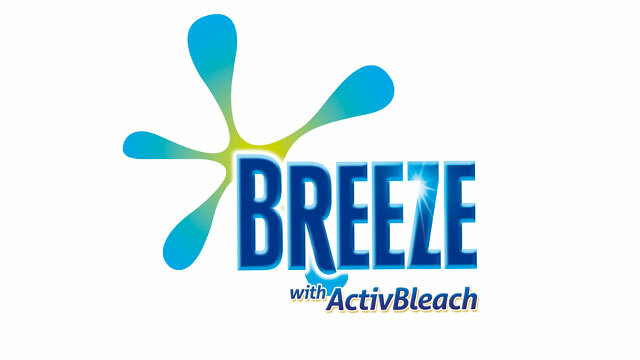 With Breeze, moms ensure their kids experience life and develop to the fullest. Time for moms to say "Sige sa mantsa!"